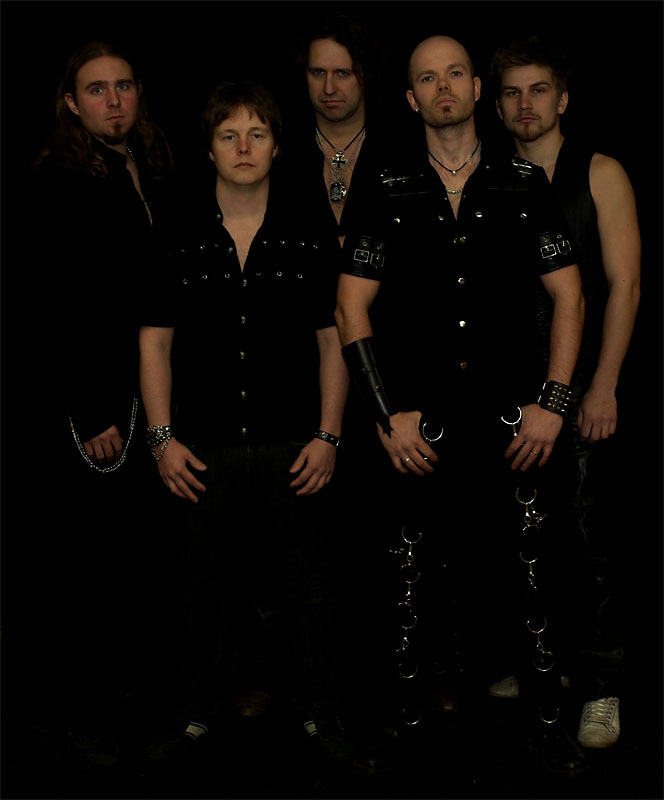 The main two musicians behind Heel are vocalist David Henriksson (ex Deep Sea and Insania - the HE in HEEL) and guitar player Marcus Elisson (ex-Ramm - the EL in HEEL). In 2003 Henriksson needed someone to help him record some cover songs for an acoustic tour in the north part of Sweden and he stumbled upon his old friend Marcus Elisson. It was during these recording sessions that both musicians found out that they still shared that same passion for heavy metal as in their days of Deep Sea and Ramm and from one thing came another: they decided to start writing and recording a metal album again. Between 2003 and 2006 HE and EL worked hard writing material for what was to become their debut album as Heel. When the material was finished, Henriksson called his other old friend, Christian Liljegren former Rivel (president of Rivel Records/Liljegren Records), and a record deal was quickly finalized. 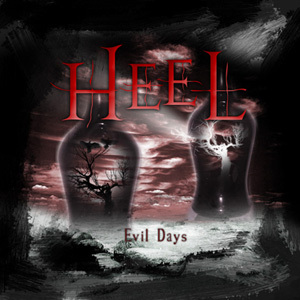 The resulting album, called “Evil Days”, is one of the best debut albums ever released by Rivel Records. Joining HE and EL are bassist Magnus Öberg (ex-Ramm), drummer Per Mikaelsson and keyboard player Richard Öberg (ex-Ramm), who contributed to the writing of three out of eleven songs on offer. Melodic power metal is the name of the game here and vocally as well as instrumentally the formula works. Among the songs are such beauties as opener “Heel” (a track that immediately shows what this band is all about), “No Longer In Darkness” (hear those keys), “Take Your Way”, “Can’t Love Everyone” and – last but certainly not least – “Always”. David Henriksson reveals himself as a real 1st class singer in the vein of Ronnie James Dio (listen to “Blood Sacrifice” and you’ll know what I mean). Hats off to the other band members as well as to the guest musicians, among whom you’ll find original Nocturnal Rites vocalist Gerhard Stenlund. Impressive stuff that is surely recommended! After releasing Evil Days summer of 2007, quite a lot has happened for HEEL. The album got, mostly, great reviews. In February 2008 HEEL played on House of metal-festival in Umeå, the gig was great, and so was the reviews too. In March 2008 we started the recording of "Chaos and Greed ", an album that will be a little heavier than Evil Days. We felt that we discovered our sound when we wrote the song HeeL, and kept on in the same spirit when we started writing new songs. The Chaos & Greed album is able to find in the stores since 2009 and many reviews once again prooved that HEEL are one of finest melodic metal band from SWEDEN.